Save your City or System Money! Post your CCR Online at www.iowaccr.org! This FREE benefit is for IRWA Members Only. Call us today to get your PIN#! 1. Go to www.iowaccr.org & click on header “Submit CCR”. 2. Click on the “Submit CCR” water drop. Then find your city or system in the drop down menu. 3. Enter the Year, PIN#, & Email address. 4. Next, browse for your CCR file (in .pdf format) & Submit! Draft Consumer Confidence Reports (CCRs) are mailed to all Community Public Water Supplies (CWS) each year in March. 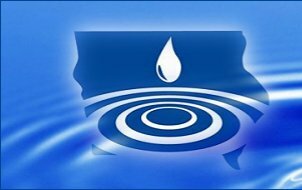 The Iowa Department of Natural Resources (DNR) will provide a draft CCR in a format that can be considered “ready”, or “mostly ready” to distribute. In some cases, the DNR does not have all the necessary information to provide a completed CCR, so more information is needed to complete the report. In all cases, the CWS should ensure the data is accurate and correct. If modifications are necessary, an electronic copy of the draft CCR can be sent to the CWS upon request. Please submit your request to this e-mail address, [email protected], and provide your CWS name and PWSID in the subject line. The draft CCR will be sent as a Word document, allowing changes and updates to be easily made if necessary. Electronic delivery of the CCR is now an acceptable method of delivery of the CCR. Listed below are the CCR E-Delivery Methods. 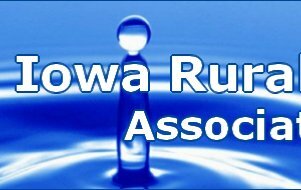 If you are a member of the Iowa Rural Water Association you can post your CCR online for free at www.iowaccr.org. CWS mails a paper copy of the CCR to each bill-paying customer. CWS mails to each bill-paying customer a notification that the CCR is available and provides a direct URL to the CCR on a publicly available site on the Internet where the CCR can be viewed. A URL that navigates to a webpage that requires a customer to search for the CCR or enter other information does not meet the “directly deliver” requirement. The mail method for notification may be, but is not limited to, a water bill insert, a statement on the water bill, or a statement in a community newsletter. Please note that the URL must remain active for three years. CWS emails a notification to each bill-paying customer that the CCR is available and provides a direct URL to the CCR on a public available site on the Internet. A URL that navigates to a webpage that requires a customer to search for the CCR or enter other information does not meet the “directly deliver” requirement. This method may only be used for customers for whom the CWS has a valid email address. CWS emails the CCR as an electronic file email attachment (such as a portable document format or .pdf). This method may only be used for customers for whom the CWS has a valid email address. CWS emails the CCR text and tables inserted into the body of an email, not as an attachment. This method may only be used for customers for whom the CWS has a valid email address. CWS delivers CCR through a method that “otherwise directly delivers” to each bill-paying customer and in coordination with IDNR. This category is intended to encompass new methods or technologies in the future that aren’t addressed in the first 5 categories. Three elements must be met in order to use the electronic delivery to comply with the “directly deliver” requirement. 1. Electronic delivery must provide the CCR in a manner that is “direct.” A CWS can use separate mailings to meet its CCR requirement, such as utility bills with a printed URL, if the URL provides a direct link to the CCR and if the communication prominently displays the URL and a notice explaining the nature of the link. 2. If a CWS is aware of a customer’s inability to receive a CCR by the chosen electronic method, the system must provide the CCR by an alternative method allowed by the rule. 3. A CWS must prominently display a message and the direct URL in all mail notifications of the CCR availability. 1. A URL that does not take the customer to the entire CCR, but requires navigation to another webpage to find CCR content. 2. Use of social media directed at bill-paying customers, such as Facebook or Twitter, since those are membership Internet outlets and would require a customer to join the website to read the CCR. However, use of social media can be an appropriate additional ‘good faith’ distribution method. 3. Use of automated phone calls, such as the emergency telephone notification or bill payment systems, because the entire content of the CCR cannot be provided in the phone call. These are some of the important considerations that a CWS must evaluate when choosing to deliver the CCR by electronic means. 1. A CWS needs to ensure delivery to every bill-paying customer, which may require a combination of paper and electronic delivery options. 2. If a CWS sends the CCR via email and it receives a message that the email failed to reach the customer (a bounce back note), the CWS should send the CCR by an allowable alternative means. 3. The CWS should conduct a public outreach to provide advance notification of the change in the delivery approach. 4. A CWS using a direct URL notification should consider a check box on the return portion of the water bill, similar to a change of address or pay by credit card, in which the customer can elect to receive a paper CCR. A notice on the bill with a phone number where a customer can call to receive a paper CCR is also a method to ensure that those people who don’t have computer access can still receive the CCR if they so choose. 5. The direct URL notification should be displayed in a typeface that is large and easily readable on the statement. A short, easy to type, direct link is best, such as www.yourCWS.com/ccr/2014.pdf or www.mytown.org/ccr/2014.html. Q. Do I have to use electronic delivery? A. No. It is a new option that is allowed, but it is not required to be used. You may still use the delivery methods you’ve used in the past. Q. Will I have to include electronic notification in my CCR certification? A. Yes, if you use electronic notification, it will need to be included in the certification that you submit by October 1st that describes how the CCR was delivered in your system. The certification form will be updated to include electronic notification. Q. I have a mailing waiver this year and I serve fewer than 10,000 people. How does this affect me? A. The mailing waiver criteria for delivery still apply: publish the reports in one or more local newspapers serving the area in which the system is located; inform the customers that the reports will not be mailed; and make the reports available to the public upon request. Q. I have a mailing waiver this year and I serve fewer than 500 people. How does this affect me? A. The mailing waiver criteria for delivery at systems serving fewer than 500 people still apply: provide a notice that the CCR that is available upon request to customers, either by mail, door-to-door delivery, or posting in a conspicuous location. Q. I don’t get the mailing waiver this year because I had a violation. How does this affect me? A. The same criteria applies for providing the CCR as before, in that the report must be mailed or otherwise directly delivered to the customer. You may use the electronic delivery as one of the methods to accomplish the delivery. 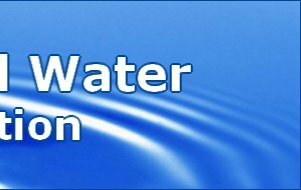 Q. I operate a small homeowner’s association with 30 customers, all of whom receive their water bills and association information via e-mail. Can I use e-mail to provide the CCR? A. Yes, this is an ideal application for electronic delivery. The CCR could be attached to the email as a .pdf, embedded in the e-mail, or a URL is provided to the association’s website as a direct link to the CCR.